Yesterday I reviewed Kamiko, a Switch game that (at the time of writing) was only available on the Japanese eShop. Whereas before Nintendo gamers haven’t been able to access another region’s eShop without either buying another system from that region or pulling off some extreme tomfoolery, the Switch’s region-free policy makes it much easier than you’d expect. Despite this, a lot of Switch owners have still yet to add other eShops to their system. If that includes you, yer man Scullion is about to show you how to do it, and how to buy games from them once you do. There are a number of pros and cons (though mostly pros) when it comes to buying games from other countries’ eShops. Allow me to elaborate. • Region free means you can (for example) buy a game from the US or Japanese eShop and play it on a UK Switch without needing any dodgy modification or hacks. • When you download another country’s eShop game to your Switch, you can play it with any account registered to it. For example, if you have a UK Switch, you can buy a game from the US eShop then play it using your main UK account so you can still connect with your friends online. • Fluctuations in the exchange rate mean that sometimes (not always, mind) games will be cheaper if you buy them from another eShop. 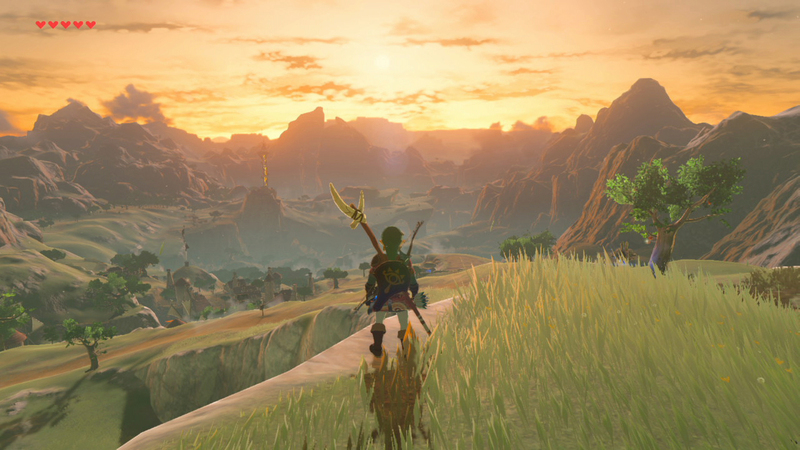 For example, Breath Of The Wild is currently £59.99 on the UK eShop but in Japan it’s ¥7,538 (£55.23) and in the US it’s $59.99 (£47.98). 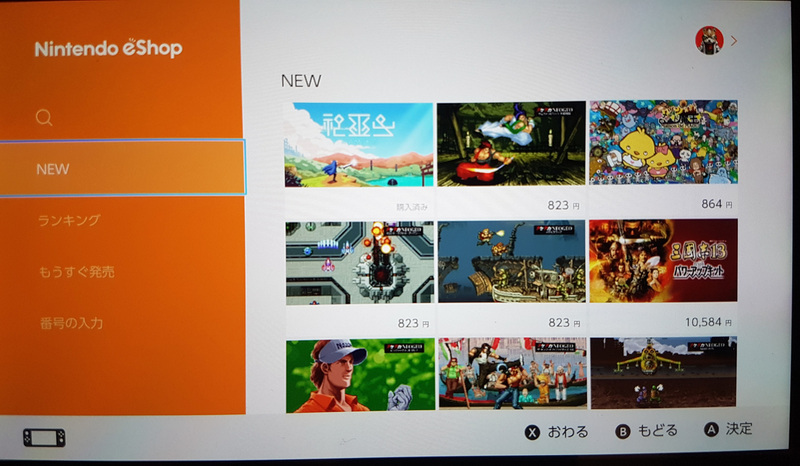 • Some Switch eShop games change to suit your system’s language setting. For example, if you buy Breath Of The Wild from the Japanese eShop, if your Switch is set to English you’ll actually get the English language version of the game. This isn’t the case with all games: more on that later. 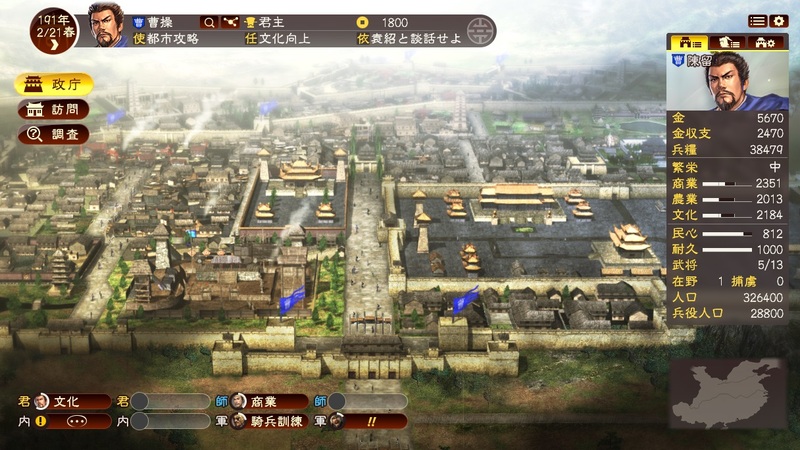 • Some games appear on other eShops before they appear in your home country’s. For example, Disgaea 5 launched alongside the Switch on 3 March in Japan but won’t come to the west until the end of May (despite the Japanese version having the English language version included). • eShops from other countries are likely to refuse your credit card, meaning you’ll have to use gift cards instead. 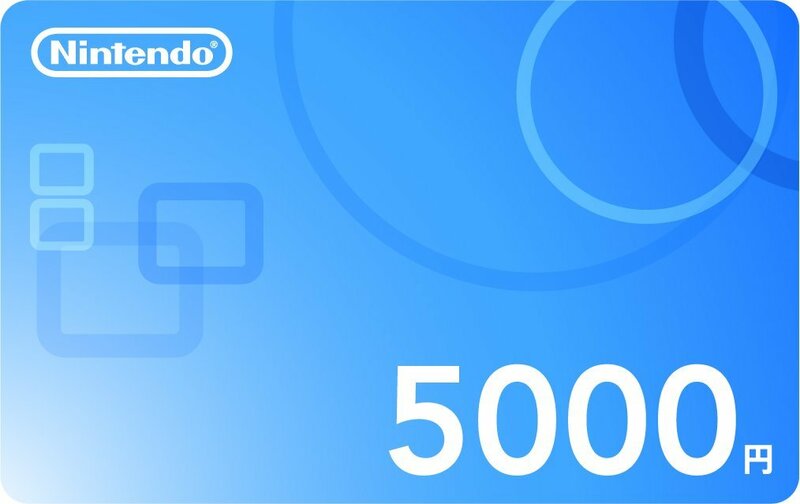 • Depending on where you get them from, foreign eShop gift cards may cost more than face value (so the seller can make a profit). This may make foreign eShop games slightly more expensive as a result. 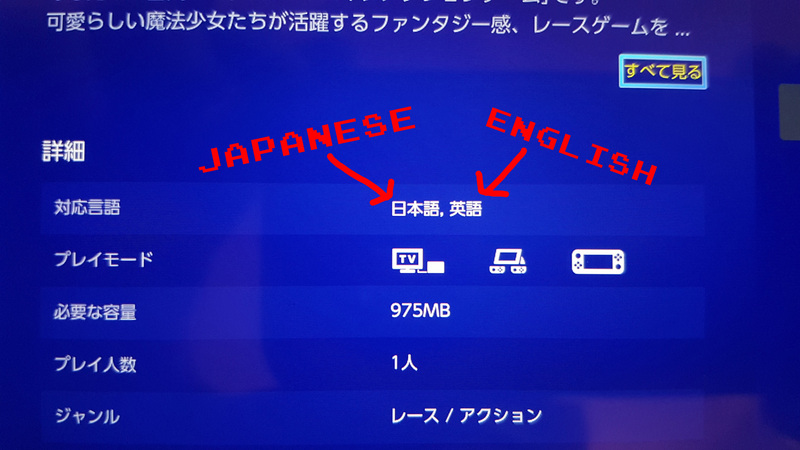 • Not all foreign eShop games have English language options. Many of the games on the Japanese eShop (like Dragon Quest Heroes I & II and Romance Of The Three Kingdoms XIII) have Japanese language only. More on that in a bit. • Buying games from foreign eShops can mean poorer sales in your own country, which may have a long-term effect on Nintendo’s release strategies going forward. For example, if everyone interested in Disgaea 5 bought the Japanese version, when it launches in the west in May it’ll sell poorly. This may give the impression that it’s hugely popular in Japan but dead in the west, leading to the decision not to release the eventual 6th game there, and to leave out an English translation too. • Your Switch’s News section will fill up with news announcements from every eShop region you have access to. This can mean three or four different stories making the same announcement. Decided you want in on the foreign eShop action? Splendid. The first thing you’re going to need to do is set up a Nintendo Account. I know, you probably already have one. But you’re going to need different ones for every eShop region you want to access. Don’t worry, it doesn’t take long. 1) First up,you’re going to need another email address. This email address has to be different to the one linked to your main Nintendo Account, and it has to be a valid one because you’re going to need to access it in a second to get a verification code. This means using something like fakeymcfakeprick@fakemail.com isn’t going to work. If you only have one email address and don’t have any spare ones, just set up a new Gmail account or something. 2) Got a secondary email address then? Good. Go to the Nintendo Account site (if you’re already logged into your main account you’ll need to log out to reach the main homepage). Now choose ‘Create a Nintendo Account, then ‘Create your Nintendo Account’ on the next page. 3) Enter all the details in the form that comes up next. Most of the fields don’t really matter but the important ones to note down are the email address you used and the password you entered. Here’s the really important bit, though. Where it says ‘Country/region’, that’s what defines which eShop your account will access. So, if you want to be able to visit the Japanese one, choose Japan. If you want the American one, choose United States. You get the idea. 4) Head to the next page. After choosing whether you want to receive promo emails for this new account, click ‘Confirm & Register’. Nintendo will then send a verification code to the email address you gave (this is why you had to have a valid one). Check your emails, get the code, pop it into the box and hey presto, you’ve got a new Nintendo Network account set up for another region. Now you have to link it to your Switch. Now you’ve got a new Nintendo Network account, you’re going to have to get it on your Switch. 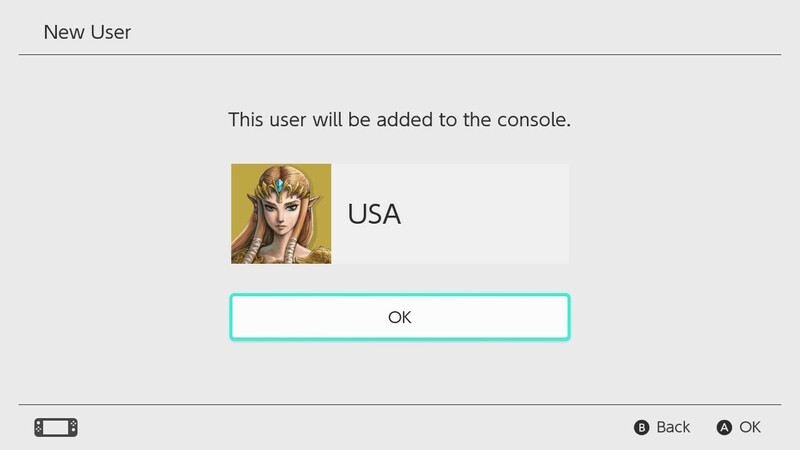 1) Each Switch profile is only allocated one eShop region (depending on its country setting in its Nintendo Account), so don’t worry: you aren’t going to be messing with your existing Switch profile with all your Zelda saves on it. Instead, turn on your Switch and go to System Settings, then head to the User menu and select ‘Add New User’. 2) As if you were normally adding a new user to your system, choose an icon (make it different to your main one, just to make it easy to tell them apart) and give it a nickname. I recommend just giving it the name of the region, so ‘USA’ or ‘Japan’. 3) The new user will be added to the console, but at this point it’s just an empty husk of a profile, doing nothing but merely existing. Your next step is to give it life by linking it to the Nintendo Account you just created. 4) After you’re told the new user has been added you’ll be given the option to link it to a Nintendo Account. Choose ‘Sign In’ and you’ll be taken to a website to do so. 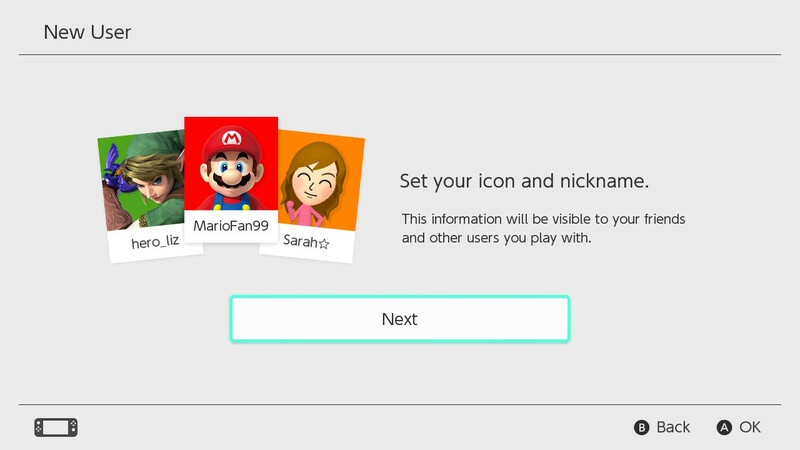 Choose ‘Sign in using an email address or Sign-In ID’ and enter the secondary email address and password you just used for your new Nintendo Account. 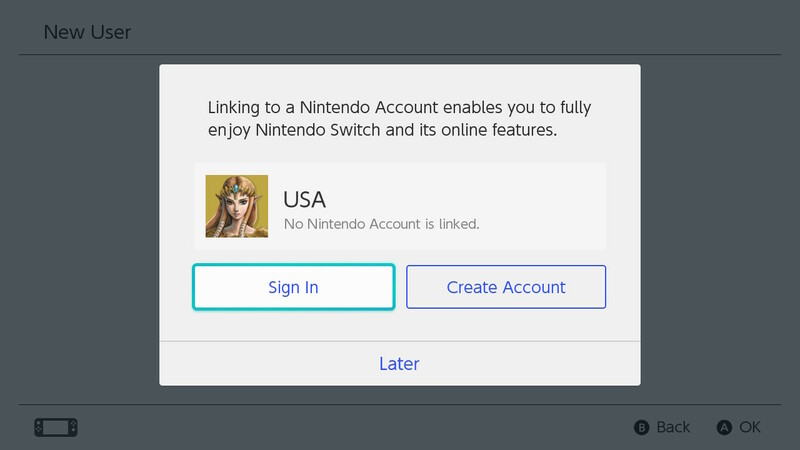 5) If you’ve done it right you’ll get a ‘Welcome to playing Nintendo Switch online!’ screen, telling you all the benefits of linking your account. Which you just did. 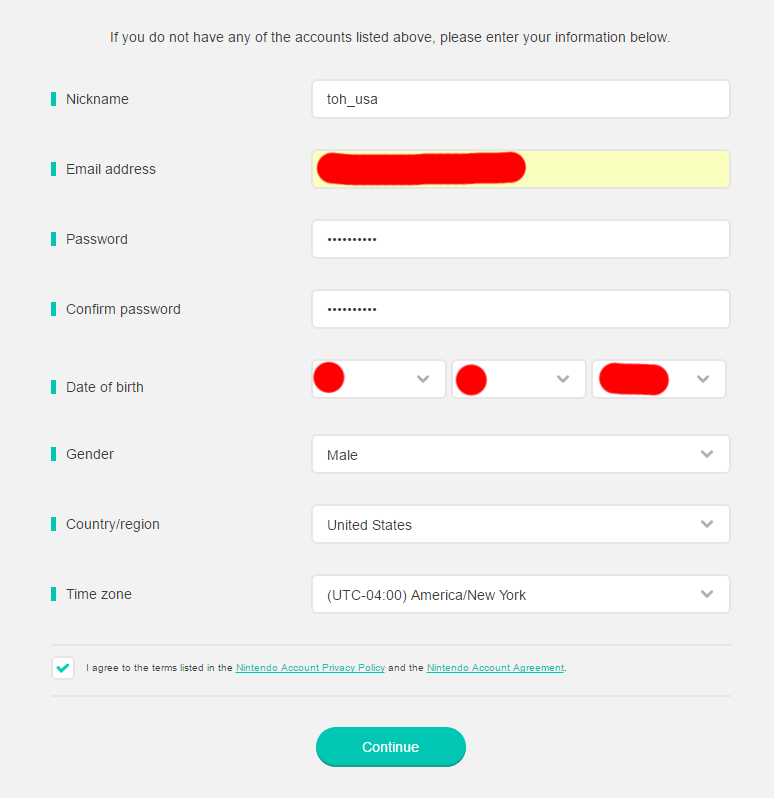 Scroll to the bottom and choose Continue and you’re done: you’ll be sent back to your System Settings ‘User’ screen and you’ll now see your main account and your foreign account. 6) If you want to add more countries, you’re going to need to do the whole process again. My personal recommendation is having three accounts in total: one from Europe (preferably the UK), one from North America (preferably the US) and one from Japan. 7) Once you’ve got all the accounts you need, all that’s left is to test it out. Head back to your Switch’s home menu and choose the eShop. 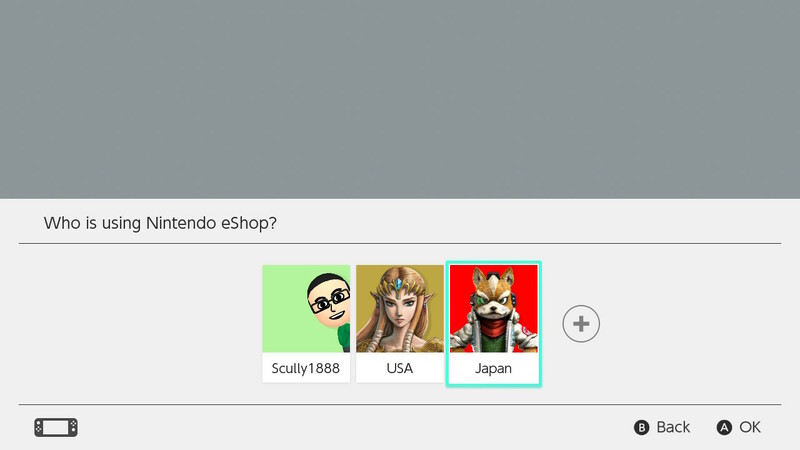 You’ll be asked “Who is using Nintendo eShop?” – choose your normal account for your home nation’s eShop, or choose one of your foreign accounts for that country’s eShop. Your eShop of choice should now load. Right then, you’re now able to browse the eShops of various different countries but that’s no use if you can’t actually buy anything from them. The problem is, you can’t. At least, you probably can’t at first. Not with your credit card. 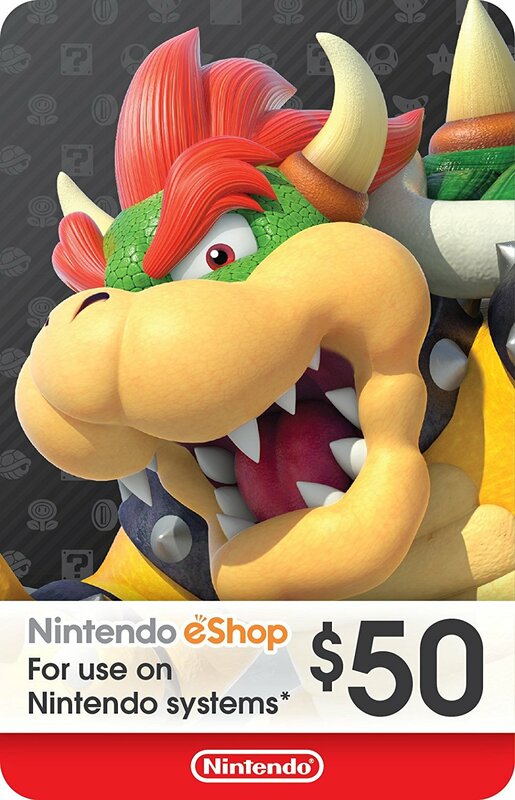 You see, even though Nintendo has made it very easy for you to visit different eShop regions, it’s made it annoyingly difficult to fork over your cash once you get there. It’s all down to your credit card’s origin country, you see. After your enter your details the eShop will check what country your card is registered to, and if it’s different to the eShop region it’ll be denied. That means no buying US or Japanese games with your British Visa card, I’m afraid. There are, thankfully, ways around this: it’s just a little more of a faff than usual. 1) First of all, make sure you definitely want the game. As ever, there are no refunds, but there are extra pitfalls when buying from a different country: especially one whose native language is different to yours. Some Japanese games have an English language option. 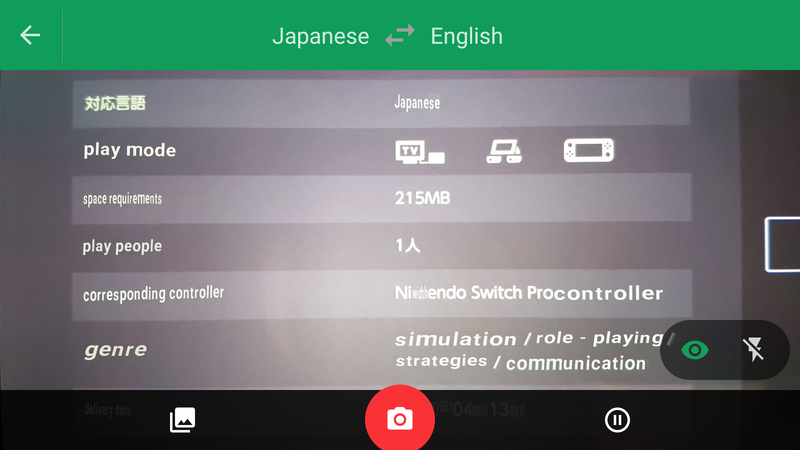 If you buy a game which does, its icon will appear in English on your Switch menu and it will, to all intents and purposes, be an English language version of the game. This is ideal for games like Disgaea 5, because it essentially means you’re getting it nearly three months in advance. If it only shows those first three characters 日本語, it’s Japanese-only. Those following two characters which read 英語 mean English. It might have a whole bunch of other characters, those indicate more languages. All you’re looking for is 英語. Naturally, if the game isn’t listed as English, when you download it you’ll still be getting the Japanese version no matter what language your Switch is set to. As such, if you’re buying a Japanese-only game, be 100% certain you’re going to be able to figure it out. Don’t go buying an RPG or anything unless you’re willing to be confused a hell of a lot. 2) If you’ve picked your game and you know how much it costs, it’s time to buy it. We aren’t using credit cards. We’re using eShop cards. Yes, just as parents can buy children eShop gift cards so they can top up their digital accounts without using a credit card, you too can use them to top up your foreign eShop funds. The problem is where to get them. Truth be told, you’re going to have to shop around a bit. 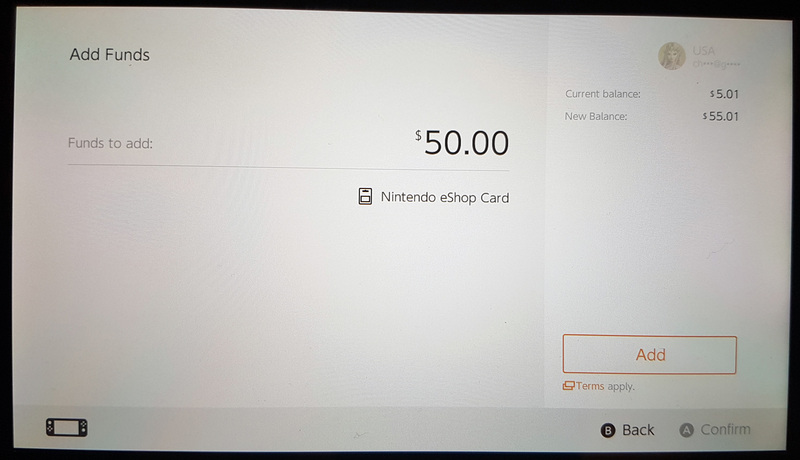 A lot of websites sell eShop gift cards from all around the world (along with Xbox and PlayStation ones), but their prices and service quality can vary wildly. • ONLY buy foreign eShop cards if the site promises to deliver the code instantly to your email address. Don’t go ordering physical cards because getting them shipped to you will cost loads of extra time and money. • Check the current exchange rate and compare it to how much the shop is charging you. Some shops will charge you a lot more than the card is actually worth so they can make a profit. • Do some research and try to find testimonies from other gamers who have bought from them before, to make sure they’re safe to do business with. • OffGamers – sells Australian, Canadian, Euro, UK, USA, Hong Kong and Japan gift cards. Often has promo deals which mean you’ll get them at nearly the going exchange rate. I recently got a ¥5000 card (£36.62) for £38.96. • PC Game Supply – sells USA and Canadian gift cards at more or less exchange rate prices, though the price fluctuates. At the time of writing, is selling a $50 card (£39.98) for £39.99. • Play-Asia – sells USA, UK, Euro, Hong Kong and Japan gift cards. Price is usually a little more than the exchange rate (a $50 US card worth £39.98 for £42) but sometimes has deals so it’s worth checking and stocking up. • Walmart – sells USA gift cards at exact cost (a $50 card for $50). You’ll need to create an account with a US zip code (use an Oregon one so you don’t pay sales tax), and your bank may charge you an extra £1 or so for paying in a foreign currency. The most consistent way to buy USA cards at a near-exact price. • Amazon – You can buy both eShop currency cards and individual game codes from Amazon sites located in different countries. There’s a little extra work involved here: although Amazon UK and US accounts are interchangeable, you can’t for example buy a gift card from Amazon US if you only have UK addresses in your account. The only way to get around this is to create a fake US address (or a fake Japanese one for Amazon Japan), so if you’re uncomfortable with that then it’s best to shop elsewhere. 3) Once you’ve found the site you want to use, buy your card and wait patiently by your emails for the code to be sent to you. Some sites can take up to an hour or two (though this is rare) to verify you’re a legit buyer and not some other scammer trying to steal codes for your own site. Once you’ve gone through this process though, buying codes from the same site again should only result in you waiting a minute or two. 4) Got your code? NICE. Open up the eShop for that region and choose ‘Enter code’. Enter the code (obviously) and you’ll be asked to confirm the amount on the gift card. Confirm it and the funds will be added to your account. BOOMTOWN RATS. 5) Now all you need to do is find the game you want and use your newly acquired credit to buy it. When it downloads to your Switch home menu you’ll be able to play it with your main account like any other game, meaning your foreign accounts only ever need to be used to access eShops and nothing else. If this guide has helped you and you want to help me continue to write similarly useful stuff, please consider contributing to my Patreon fund. The money helps go towards site maintenance, ensuring there are no ads and buying games (yes, including foreign eShop ones) so I can review them for you lovely people. Brilliant, thanks for taking the time to explain that Chris. I used a guide online to set up my Japanese eshop account a while back but it was never explained what to do from there so I’ve never been able to use it. Nintendo making it so you can access any region’s E-Shop is a godsend. No more having to buy a Japanese system to buy a few region exclusive digital games and importing with insane shipping prices. That’s a really good improvement in my opinion. This is easily the most comprehensive article I’ve read on this yet, Chris. Thanks very much- it’s given me the confidence to set up a Japanese account on my own Switch! Can this become a problem when the paid online launches? Do you maybe have to pay for every account that wants the according games to work online? no one will probably respond, but what will happen if I switch my region back after purchasing the game?